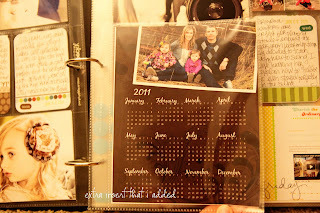 My plan for this week is to give you a look into my project life album for 2011. Each day I hope to share a week I've done so far with you. 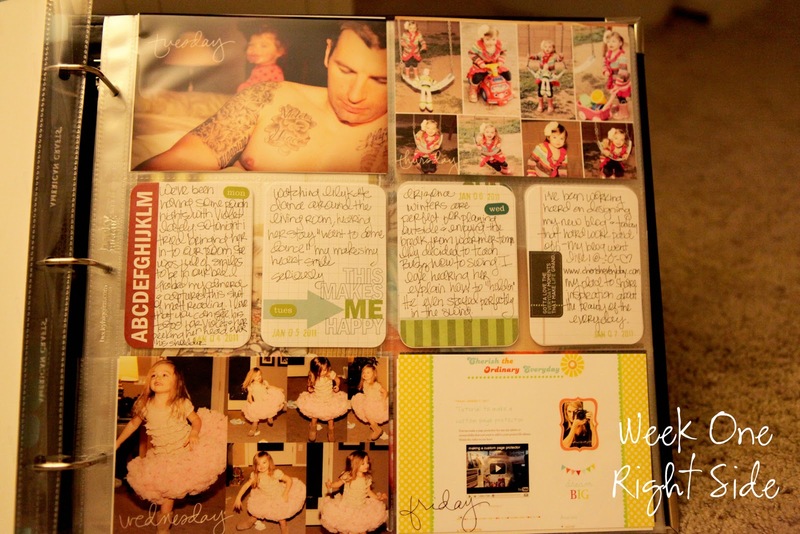 I also have a separate post planned on page protectors with information about where you can purchase protectors just like the ones that I've used in my albums...so hang tight hopefully this will be a week packed full of inspiration!! On several of these photos there were photos that I just couldn't decide which one I wanted to use but I also didn't want to make an entire separate page on them so I made a collage instead. Ohhh..good idea about the calendar! I recieved some of those with my christmas cards too. I think I shall swipe this idea! :) Thank you for your videos and GREAT PL ideas! Thank you for sharing. I love your ideas for the sewn page protectors. I am going to get out my sewing machine! 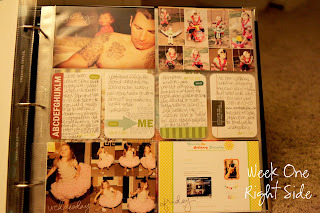 Your Project life Albums are my favorite. 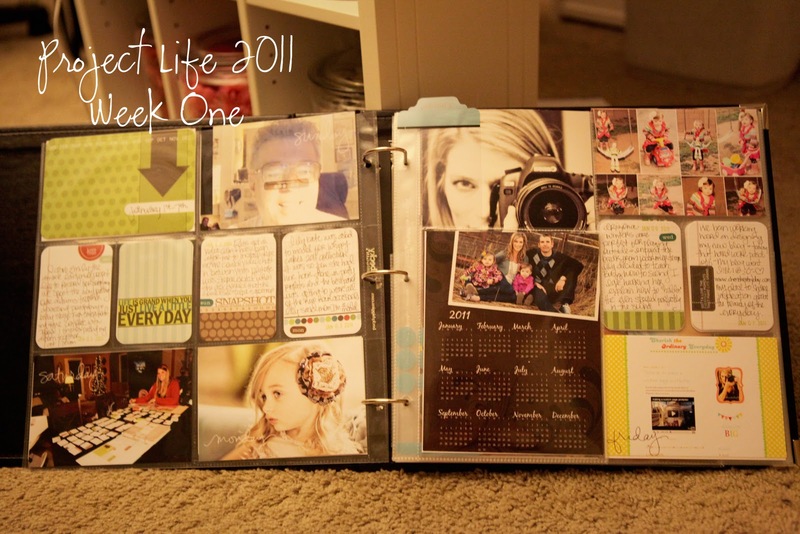 Cannot wait to see your other pages! I love your pages. Thank you for sharing. I am going to get out my sewing machine and get it a try. 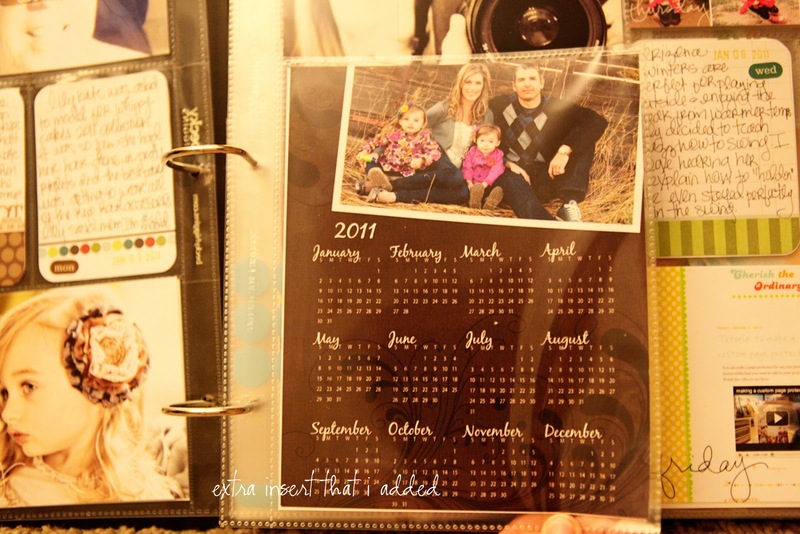 Looking forward to seeing more of your pages. I have been so inspired by your albums!! 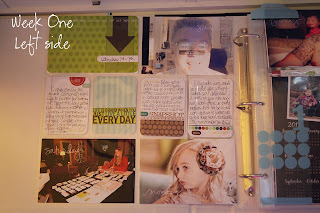 I would really love to know your process when putting together your albums: uploading, editing, deciding what to print/collage, etc...,deciding which ones to make into layouts.....I am trying to come up with a daily system that will make putting my album together a little more streamlined. Would love your tips!! I have been so inspired from your site. 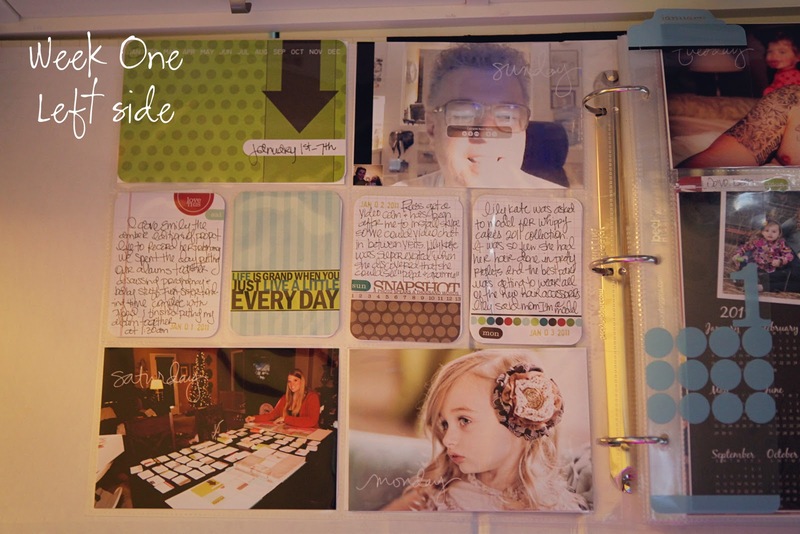 I love your albums, and its been helping me stay caught up and given me ideas for personalizing my own project life by adding things to the album! I was wondering if you could give a tutorial of how you make the collages, I too have a problem with having way to many pictures! Thank you for sharing your albums, they are very inspiring. I was wondering what type of camera you use because your photos are truly awesome. I haven't warmed up to Photoshop yet, but that's how you make the collages, right? I may need to learn that in 2011! love the albums, are the tabs the ones from the Project life kit?